Am 20. Juni 2017 haben wir, drei Menschenrechtsaktivist*innen, uns an einer politischen Aktion beteiligt, die gegen eine offizielle Repräsentantin des israelischen Staates, MK Aliza Lavie (Die Partei Yesh Atid) gerichtet war. Die Ziele dieser Aktion waren folgende: Erstens, gegen Lavies „Hasbara“ Auftritt zu protestieren, der von der Humboldt-Universität zu Berlin ausgerichtet wurde, und zweitens öffentliche Aufmerksamkeit zu erreichen über Israels Verantwortung für die kriminelle Fortführung eines Apartheidsregimes. On June 20th 2017, we, three human-rights activists, engaged an act of political protest, which was directed at an official Israeli state representative, MK Aliza Lavie (Yesh Atid political party). 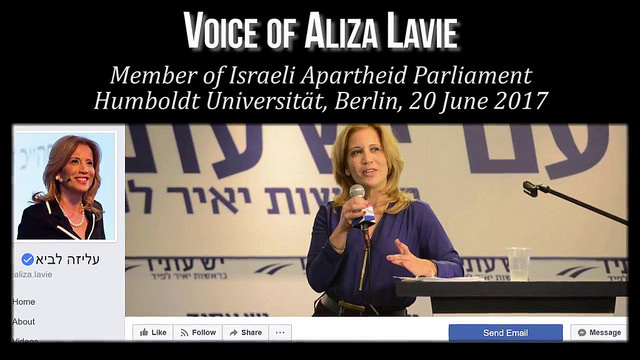 The aim of action was twofold: first, to protest Lavie’s “Hasbara” event, which was hosted by Humboldt University, and second, to raise public awareness to Israel’s criminal responsibility in perpetuating an apartheid regime. MK Lavie herself is personally accountable for her role as a coalition member during the 2014 onslaught on the besieged Gaza Strip, where over 2,200 people have been killed, including 89 entire families that were obliterated. Furthermore, the protesters began by emphasizing that Lavie appears in Humboldt University as a representative of a criminal apartheid state. 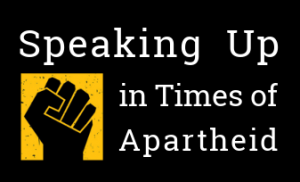 Given that under international law the Crime of Apartheid is classified as a crime against humanity, we, as people of conscience, were morally obligated to perform our civil responsibility and speak up against those very horrendous crimes that were, and still are, being carried out in our name. Our non-violent act of resistance, of speaking truth to power, corresponds to our constitutional right of free speech, a right which is not afforded by the Israeli regime and its heavy use of state censorship. Notwithstanding, the German media’s covering of the event, not only inaccurate but also substandard in terms of journalistic writing, has fully aligned itself with Zionist media and Israel’s state ideology to depict our civil duty as an illegitimate expression of antisemitism. Such an outrageous claim joins a much more disturbing and broader tendency seen over the past years, which includes DIE LINKE and SPD decisions to de-legitimize and oppress a peaceful civil society movement calling for Boycott, Divestment and Sanctions against the State of Israel — a state which doesn’t abide by international law. Civil courage, we maintain, is the answer to the ongoing attempt to narrow down Germany’s discursive sphere in which critically thinking individuals fear of being blacklisted and tagged as antisemites, thereby preempting the chance of any meaningful protest against abuse of state power, settler colonialism, and violation of international law. 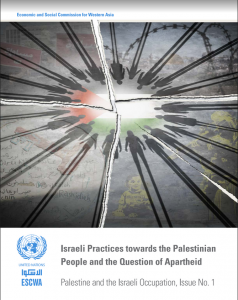 The lack of analytical capability of distinguishing racism against Jews from critique of Israeli policies is persistently being used to fend off any criticism of Israel’s illegal and immoral practices. These smearing attempts are all the more futile considering that two of the activists are Israeli citizens and descendants of Jews who survived the holocaust, the death-trains, the death-marches and the concentration camps. While Yesh Atid political party abuses the memory of the holocaust for political gain, the slander against us and false accusations of antisemitism are all the more reprehensible considering the century-long Jewish opposition to Zionism, including the legacy of holocaust survivors who oppose the crimes of Zionism. We write here in the name of Marek Edelman, a staunch anti-Zionist who was deputy commander of the Warsaw Ghetto Uprising, a Polish hero (awarded the Order of the White Eagle) and a world-renowned cardiologist. Yet, the State of Israel actively works to erase his existence from Israeli history books and has gone to great lengths to deny his legacy of anti-Nazi and anti-Zionist resistance. When the Polish government held the 50-year commemoration of the Warsaw Ghetto Uprising it was the Israeli government which demanded that Edelman, the Polish icon who commanded the uprising and was one of its sole survivors, would be dis-invited from the ceremony. We write here in the name of Hajo Meyer, the survivor of Auschwitz concentration camp, director of A Different Jewish Voice (EAJG) and member of the International Jewish Anti-Zionist Network (IJAN). Meyer died in August 2014 on the very day that an open letter signed by 44 holocaust survivors and over 300 descendants of survivors had been published on the NY Times. The letter with Meyer being the first on its list of signatories, accuses Israel of committing no less than genocide in Gaza and calls on the world to endorse the BDS campaign in order to hold Israel accountable for its actions. We also write here in the name of Hannah Arendt, Hedy Epstein, Victor Klemperer, and many others. While one of the Israeli activists reminded MK Lavie of her complicity in the 2014 Gaza massacre, it was the Palestinian Majed Abusalama, first-hand witness and survivor of at least three Israeli onslaughts on Gaza in 2008, 2009 and 2012, who sat quietly throughout the meeting. During the Q&A session Abusalama raised his grievances concerning the talk as well as the physical violence that some of the organizers engaged in against the demonstrators, after which he was removed from the hall. While there was no violence on our part, the incident was clearly a violent one and we are issuing a complaint with the Humboldt University on this matter. The female demonstrator was assaulted by one of the event organizers who had punched her in the face. The lead-up to the violence can be seen in the video (see min 5:15), where the demonstrator is being grabbed and pushed as she was fending off the attacker. An audience member can be heard in the video, shouting: “Don’t beat her!” and “No violence!”. It is unfortunately not at all surprising that violating our bodily autonomy by the use of unauthorized violent means to oppress political dissidence did not receive equal coverage, nor was it addressed by Humboldt University and the Berlin Senate. Moreover, we denounce the shameful position taken by Humboldt University regarding the event. As a public academic institution of higher education that places human values at its core, it is a dark moment when the perpetrators of a crime against humanity are embraced within its premises. We see value in dialogue even with those who hold diametrically opposed views to ours and therefore would not have interrupted the other speakers at the event. 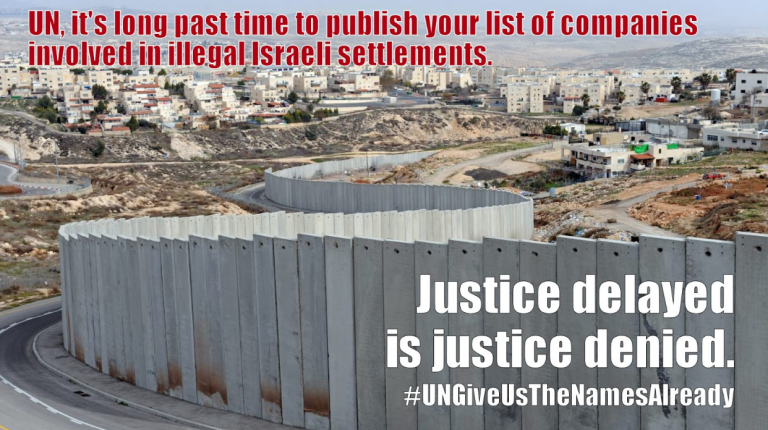 At the same time, backed by the tenets of international law, we maintain that an official representative of a state that systematically violates the law and does so as a matter of policy, a state whose modus operandi is the practice of crimes against humanity, must not be given legitimacy for its illegitimate practices. Certainly, it should not be embraced within the halls of academia that claims to draw its raison d’etre from our shared human and humanistic values. This also holds true to the legal obligations of any state and the German state in particular. Given the attempts to silence freedom of expression in Germany concerning these issues, we find this disposition to be dangerous for the future of Germany’s civil sphere as a whole. 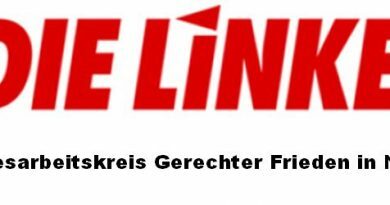 We urge all those of you who hold dear the values of a free civil society to take a stand against state oppression and demand the end of German complicity in the violations of international law – also with regard to the Israeli case. We call upon you to voice your position, to stand on the right side of history, and to join us in the struggle for freedom, equality, and justice in Israel-Palestine. BDS Kampagne hat ein Boycott AXA ! geteilt. Campagne BDS France Montpellier in Aktion gegen AXA! Action de boycott dans le cadre de la journée national contre Axa ! Vendredi 19 avril, nous nous sommes rendu devant 3 agences de l'assureur Axa, afin de coller et de poser des banderoles et afichettes pour informer les passants du role de complice de Axa dans les crimes israeliens en Palestine ! Prof. John Dugard, der südafrikanische Anwalt und Aktivist gegen die Apartheid dort sowie ehemalige UN-Berichterstatter für das besetzte Palästina, hat zu unseren Gunsten [der BDS Initiative Oldenburg] im Rechtsstreit gegen die Stadt Oldenburg eingegriffen. Oldenburg ist nur einer von vielen Orten weltweit, aber auch und nicht zuletzt in Deutschland, an dem rassistische üble Nachrede dazu genutzt wird, um die Verweigerung öffentlicher Räume für BDS-Aktivisten „rechtfertigen“ zu können...WIEDER EIN KLEINER SIEG FÜR DIE #BDS-BEWEGUNG! Prof. John Dugard, der südafrikanische Anwalt und Aktivist gegen die Apartheid dort sowie ehemalige UN-Berichterstatter für das besetzte Palästina, hat zu unseren Gunsten im Rechtsstreit gegen die Stadt Oldenburg eingegriffen. Oldenburg ist nur einer von vielen Orten weltweit, aber auch und nicht zuletzt in Deutschland, an dem rassistische üble Nachrede dazu genutzt wird, um die Verweigerung öffentlicher Räume für BDS-Aktivisten „rechtfertigen“ zu können. John Dugard führt die Diskussion hingegen dorthin zurück wo sie hingehört: zu den Fakten „on the ground“. Apartheid ist nämlich laut den Rom-Statuten des Internationalen Strafgerichtshofs ein Verbrechen das folgendermaßen definiert ist: „... ein institutionalisiertes Regime systematischer Unterdrückung und Herrschaft durch eine ethnische Gruppe über jede andere ethnische Gruppe“. Und genau dies passiert in Palästina verübt durch den Staat Israel! Danke, Mr. Dugard, dass Sie sich die Zeit genommen und das richtig gestellt haben! In Folge dieser Intervention konnten wir die Berufung vor dem Landesverwaltungsgericht Lüneburg gewinnen und die Stadt Oldenburg wurde gerichtlichtlich dazu gezwungen, uns öffentlichen Raum zur Verfügung zu stellen. 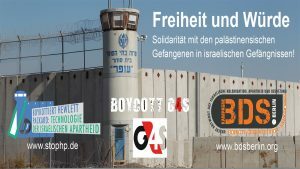 Beim ersten solchen BDS-Event in einem vernünftigen Gebäude, referierte Prof. Norman Paech dann vor einer beträchtlichen Anzahl an von Zuhörer*innen über „Apartheid, Siedlerkolonialismus und Meinungsfreiheit“. Passender hätte es nicht sein können! Ihr findet Hr. Dugard´s vollständige Stellungnahme auf unserer Homepage www.ol4p.org unter dem Button „Dokumente“. Dieses und andere Dokumente dürfen und sollen gerne in euren lokalen Zusammenhängen genutzt werden! Bitte teilen! 📢 Instead of watching @Eurovision this year, go to an #ApartheidFreeEurovision party! Federatie Nederlandse Vakbeweging (FNV), the largest trade union of the Netherlands, with 1.1 million members, has dropped @HP as a partner in their offers to their members.